Buying the right camera, lens, accessory or software to suit your photography is really important. Our product reviews offer independent views with hands-on opinion and honest verdicts aimed to give you all the important information you need to make the best buying decisions. Got a review you'd like to share? The new X-Rite ColorChecker Passport 2 now features an 18% grey target, but how does it perform? Find out in our review. George Vittman reviews the Optivelox SS04U Sensor light meter for Android smartphones and tablets. We review the brand new Spyder 5 Capture Pro kit, the all-in-one solution for colour calibration, from camera to screen. 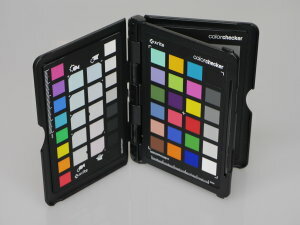 The X-Rite ColorChecker Passport is an extremely portable colour checker for use when you're out and about. Review by John Riley. 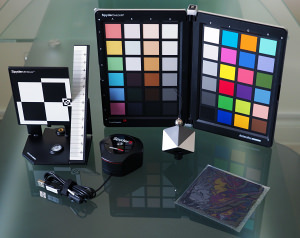 John Riley reviews the new SpyderCheckr Calibration Device by DataColor. John Riley reviews the new SpyderCube White Balance Cube by Datacolor. Getting an accurate light reading is critical in photography and a light meter will do just that. The Gossen Digipro F is a budget model that reads both incidental and reflected light and costs £149.99. Roses are red and violets are blue. At least they should be and that's where the CBL comes in. Gary Wolstenholme takes a balanced look. Although it sounds like a German musical, this little device is less about prima donna melodramatics and more about measuring light accurately as Duncan Evans discovers. Ian Andrews checks out a series of cards combining depth-of-field and sunrise/sunset charts.